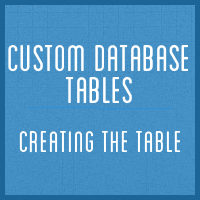 In this series we’ll be looking at using custom database tables. We’ll cover how to create, maintain and remove the table, as well as how to safely, and efficiently, add, remove and query data. In this first article we look at when custom tables might be appropriate, the pros and cons of using them and how to create the table.